While preppers in the U.S. participate in American preparedness for any kind of potential disasters ranging from tornadoes to epidemics, European, Middle Eastern, African, and Asian survivalists must prepare for disasters specific for that region of the world. The problem many of the countries in these areas have is that they are underdeveloped. Therefore, many people in poor nations such as the Philippines, Iraq, and Libya simply do not have access to funds or resources necessary to significantly prepare for disaster. Instead, underdeveloped nations contain people who are more concerned with finding enough food to eat, decent clothes to wear and just surviving one day at a time. Even with millions of people living on less than $1 U.S. dollar a day, the popularity of survivalism as both a philosophy and way of life is rapidly rising all over the world. 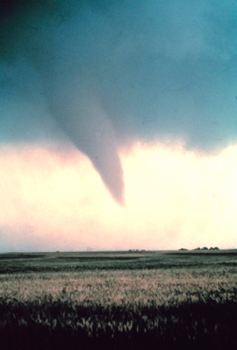 Techniques involving Preparedness may or may not be of interest to survivalists in other countries due to the vulnerability of the U.S. to a host of man-made and natural disasters. However, Israelis are not worrying about the threat of floods, tornadoes, hurricanes, or epidemics at the moment. Right now, Israeli survivalists' main concern is the threat of nuclear attack from Iran. According to a March 1, 2012 CBS News article by Robert Berger "Israel is transforming the parking lot of the HaBima National Theater in Tel Aviv into a bomb shelter for 1,600 people amid fears of war with Iran". The article goes on to state that Israel has been increasing the number of bomb shelters, as well as holding many civil defense drills in anticipation of an Iranian nuclear attack. Although the majority of apartments and homes in major cities contain bomb shelters, the Israeli government has yet to distribute gas masks, which they did before the 1991 Gulf War, as well as the 2003 invasion of Iraq by the U.S. The threat of a nuclear attack is considered minimal to moderate in the U.S., depending on the current international relations situation. Thus, you will not find the majority of citizens interested in American preparedness focusing as strongly on establishing bomb shelters as the Israelis. Preparedness for disasters focuses more on weather-related catastrophes, with an increasing emphasis on general apocalyptic events such as pandemics and economic meltdowns. Because the global finance systems are now so intricately interconnected due to digitalized transactions, one nation or country defaulting or diving into a recession directly and negatively affects the rest of the countries heavily implicated in the global money markets. In late 2011, Italians borrowers owed nearly $4 billion to French financial institutions. If Italy were to default on this "loan", the affect on France's government, economy, and society as a whole would be devastating. This disaster, in turn, would create devastating economical consequences for the rest of Europe, Asia, and the U.S. Termed the "financial contagion", such an event would necessitate initiation of survival tactics due to the impending collapse of governments, banks, social services, and employment. Currently, European survival methods and American preparedness for economic collapse are both very similar and very relevant in each country. Culture is an important influence when determining the popularity of survivalism in various countries. Americans represent an "individualistic" society, i.e., a society that values the individual over the whole and highly reveres autonomy. Asian societies tend to be more collectivistic, or a society that values the group over the individual. In other words, collectivistic societies expect each person to put other people's welfare before their own. Thus, in Japanese culture, survivalism would be counterproductive to cultural practices and possibly even offensive. Another major aspect of preparedness is the ability of U.S. citizens to own self-defense weapons. Americans have the constitutional right to bear arms, have guns, to defend themselves against threats from criminals or even a criminal government, which goes back to the Revolutionary War. 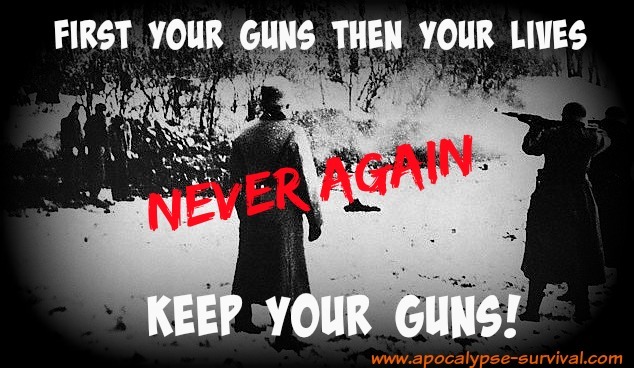 Citizens of other countries, such as Great Britain and Australia, which enforce extremely strict gun laws and penalties for possessing firearms, have had their guns taken away. Sadly, there are those in the United States who would like to follow those countries, and are doing everything in their power to take away American citizens right to fight back and protect themselves from any and all threats. Switzerland, however, has minimal limitations on owning guns, mainly because it does not have a military to protect it and instead, requires its citizens to arm themselves. As a major difference in survival preparedness between the U.S. and other countries, the ability to own self-defense weapons may one day prove to be what keeps more Americans alive following a global disaster than Europeans.